The first season of Legends of Tomorrow may be primarily about hunting down immortal supervillain Vandal Savage through space and time, but the show has been able to sneak in peeks to the pasts of several of the main characters. Both Martin Stein and Captain Cold have even interacted with their younger selves, and now it looks like Heatwave will be the next legend with a blast from the past. 16-year old Mitchell Kummen has been cast to play the younger version of Dominic Purcell’s Heatwave. Heatwave – also known as firebug Mick Rory – is currently MIA from Rip Hunter’s mission in the Waverider time machine. His betrayal of the rest of the crew, to a bunch of space pirates no less, put the good guys in the sticky situation of not being able to keep him around but also not able to take him back home to wreak havoc in 2016. When last seen, Heatwave was facing a blast from Captain Cold’s cold gun. Mitchell Kummen’s casting means that either we’ll be getting the not-too-shocking reveal that Captain Cold didn’t kill his buddy or young Mick will appear without his older self present. Young Mick will be a confused teenager when the crew pays him a visit, according to Variety. His love of fire will already be in play and gets him into hot water when it turns lethal. The episode will be called “Last Refuge” and air on April 21. Mitchell Kummen’s appearance on Legends of Tomorrow will bring him back to The CW after his run on the short-lived Tomorrow People as the younger version of Luke Mitchell’s John Young (alongside former half-Firestorm Robbie Amell). He had a stint on Hallmark’s When Calls the Heart and appeared in all ten episodes of Ties That Bind. 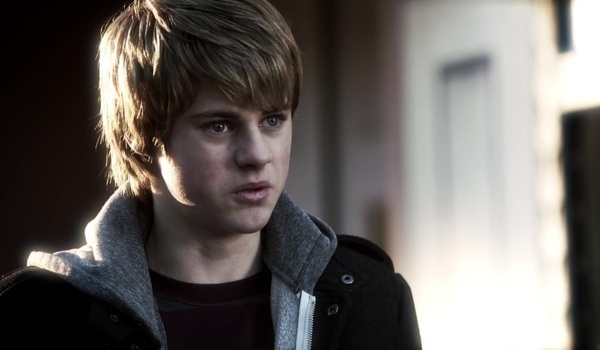 More recently, he played a younger version of Stark Sands’ character on the ill-fated Minority Report on Fox. His big screen credit comes from a role in the 2014 horror film Horns. Clearly, Kummen has experience with a variety of genres, so the sci-fi elements of Legends of Tomorrow shouldn’t be too difficult for him. He also has a lot of experience in playing younger versions of adult characters, so it should be interesting to see what mannerisms he can bring to the role of Young Mick that will match those of Dominic Purcell as Heatwave. There’s no saying at this point if the one appearance as Young Mick could turn into a recurring gig on Legends of Tomorrow for Kummen. The time-travel aspect of the show does mean that no era of any character is necessarily off the table for an adventure, but there’s also no guarantee that the entire crew of the Season 1 mission will be back for Season 2. Legends of Tomorrow airs on Thursdays at 8 p.m. ET on The CW. To catch Mitchell Kummen as the younger version of Heatwave, don’t forget to tune in on April 21.